File photo by Hugo Wong. Nov. 27 saw the second UVic Board of Governors meeting of the year and highlighted a suite of projects and partnerships that the university is setting in motion. These included UVic’s Strategic Framework, the forming of an Indigenous Community Advisory Council, and the development of several partnerships, including international research partnerships and collaborations with government and industry. And a cherry on top was the approval of a $6.3 million budget for the Student Health and Wellness Centre, which will be opened in the Spring of 2020. The Centre will provide new clinical and counselling spaces on campus and aims to enhance the delivery of healthcare on campus. Another large investment discussed at the meeting was the recently-announced UVic Housing Program. Requiring a $123 million loan from the province and a $45 million loan from the UVic Foundation, the $200 million housing expansion will increase housing on campus by 25 per cent. Cassels added that the interest rates that UVic will be paying on the Foundation loan won’t be lost in the ether. “There’s a lovely virtuous circle in the loan from the Foundation. This is an interest-bearing loan, so of course we will be paying funds to service that debt, [but] that interest goes directly into the Foundation and then goes directly to our students in the form of scholarships and bursaries,” he said. 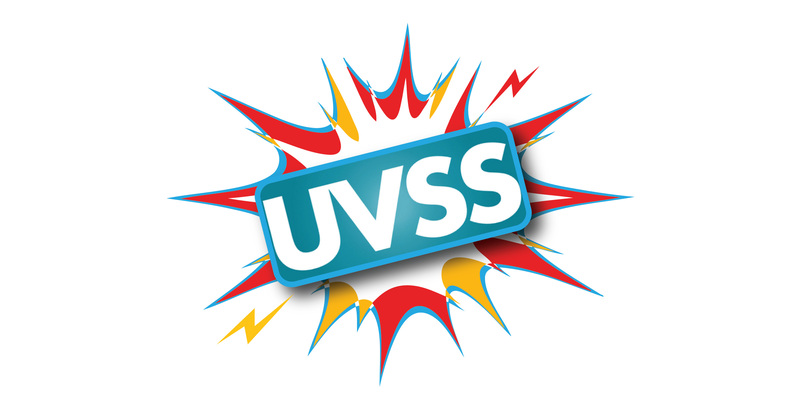 The UVic Strategic Framework also showed new signs of getting off the ground. “We’ll soon be rolling out a number of initiatives and investments to support elements of the Strategic Framework,” Cassels said. “I’ve personally done three town halls so far with faculty and with staff about how we can bring the Strategic Framework to life and where do people see themselves in those priorities,” he said, adding that in January a number of chairs will be proposed to be appointed in order to promote the framework. Cassels announced that UVic will be creating an Indigenous Community Advisory Council in 2019 as part of the university’s Indigenous Plan. But the Strategic Framework, which will be enacted over the next five years, calls for the participation from more than just Board members and future chairs. “Bringing our vision to life depends upon the talent and commitment of every member of the university community,” reads the Strategic Framework document. One of the Strategic Framework’s main objectives involves fostering respect and reconciliation, which will be achieved through such means as working to implement the UVic Indigenous Plan and building more Indigenous partnerships. On this note, Cassels shared a recap with the Board of the fourth Building Reconciliation Forum, hosted by UVic on Nov. 15 and 16. The annual event provides a space for universities to discuss how they can contribute to reconciliation measures. Despite the Board meeting’s tight agenda, Cassels took the time to show the room the Walking Stick that was passed to UVic during the reconciliation forum, as is tradition for each year’s host. 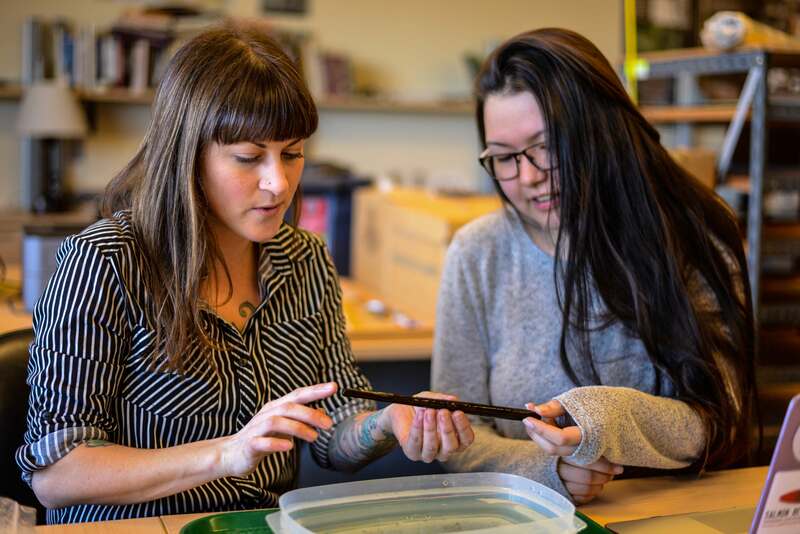 As the Walking Stick was passed around the room, Cassels announced that UVic will be creating an Indigenous Community Advisory Council in 2019 as part of the university’s Indigenous Plan. “[It will provide] a way in which the university can better develop relationships and partnerships with Indigenous communities,” he said. Cassels also spoke of UVic partnerships involving governments and industry. On the Provincial level, the Digital Technology Supercluster, which is part of a national network that facilitates and funds collaborative technology leadership projects, has announced its first seven projects, two of which will have heavy UVic involvement. At the federal level, UVic has partnered with the Canadian government to create the Queenswood Oceans Climate Facility, which will host the UVic-affiliated organization Ocean Network Canada. The building will have its official opening on Dec. 7, Cassels said. Internationally, the University is looking to strengthen partnerships with universities in Japan and Thailand, especially in hopes of enhancing opportunities in oceans and climate research, Cassels said. Cassels recently led a mission to Japan and Thailand, and next on the travel list is China. “I’m going to Beijing for four days in late December to reconfirm our status as a receiving institute of the China Scholarship Council Graduate Support Program,” he said. The meeting then steered to a report on UVic’s own opportunities for student financial aid, provided by Michael Mitchell. 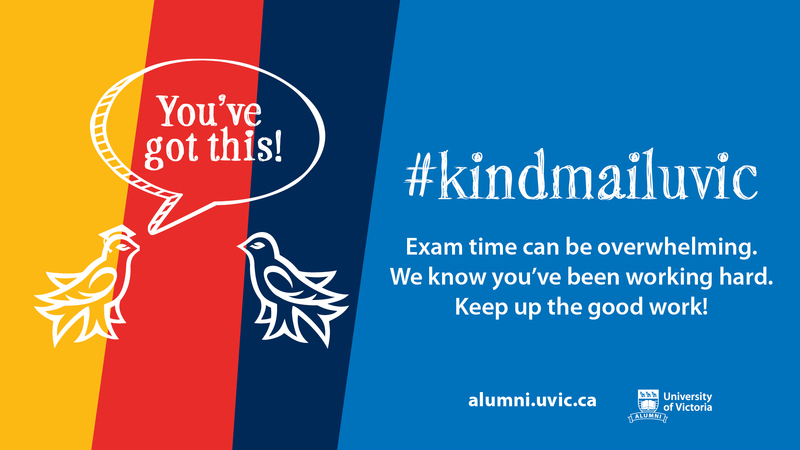 “Student Financial Aid [at UVic] has increased by more than four per cent in the 2013-2017 bracket,” Mitchell said. These support opportunities are important for recruiting undergraduate and graduate students from diverse backgrounds, he said. Following the financial aid report, revisions to the licensing program policy were approved for the first time since 1990. The purpose of the review was to adequately reflect UVic’s current practices, individual responsibilities, and compositions of committees, which have naturally evolved since 1990. The meeting ended quickly after that, and so came the end of UVic Board of Governors meetings for 2018. 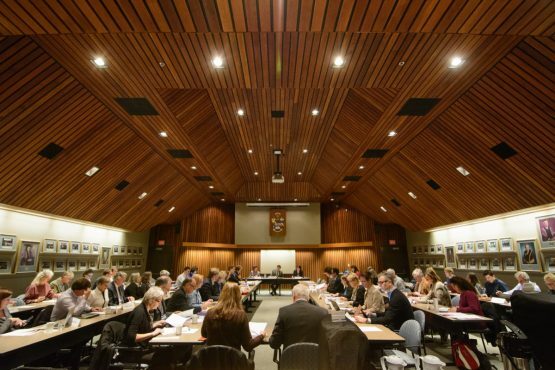 The next UVic Board of Governors meeting will take place on Jan. 29, 2019 at 11 a.m. in the Senate and Board Chambers of the University Centre. The next UVic Senate meeting will take place today — Dec. 7 — at 3:30 p.m. in the Senate and Board Chambers of the University Centre. UVic Senate and Board of Governors meetings are open to the public.